The last two days have been very good for me. First, while on the airplane to Houston yesterday, I read a brand new magazine called Where Women Create from cover to cover--something I rarely do! But with the launch of this new magazine and my studio being one of the creative spaces featured in the premiere issue, I thought it best to read about the women who I would be "signing" with--and about their creative spaces. I absolutely enjoyed soaking up the stories of these women and studying the details of their spaces! Let me give you some history. It started months ago when a friend of mine, Jo Packham (over the years she's written several popular books that my Mom Heather adored), called and asked if my studio could be featured in a new magazine she was planning. Back to my story. Jo also asked if I would be willing to join her and some of the other women featured in the magazine in launching Where Women Create at the International Quilt Festival in Houston. Again, I was more than happy to oblige. It was a pleasure visiting with and getting a glimpse into these women as we signed hundreds of copies of the magazine together. Another thing I had the opportunity to do during these couple of days was to walk the show and view all the beautiful quilts--works of art, every single one of them. I found myself strolling up and down the aisles with tears welling up in my eyes, because my Mom Heather (who passed away last December) also quilted and had a collection of fabrics and notions that still amazes me. I was glad to be walking alone among the crowd so I could just wander through the memories of my mom. In fact, I enjoyed rummaging through and buying vintage ribbons that reminded me of her. Someday I'll make little gifts for my girls--like Mom used to make for me--using those precious pieces of the past. Well, I could write so much more about my trip to Houston and the feelings it evoked...maybe some other time. I'm on the plane ride home as I write this (tears streaming down my face--the guy next to me must think I'm a nut case), and I've promised myself that I'll read more magazines (Mom loved to pore over magazines), and I'm going to make more time to create. Mom would be so proud! Oh, by the way, if you want to see my studio in its most pristine condition (a rare thing indeed!) 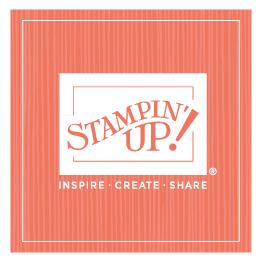 and be inspired by other women's creative spaces, go to www.stampington.com and order your copy of Where Women Create. You should also be able to find the magazine quarterly at Barnes and Noble, Borders, Michael's, Hobby Lobby, Joanne's, Lowe's. . . .. Enjoy!